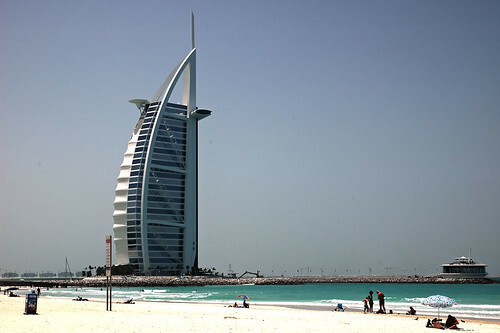 The famed Burj Al Arab. Whatever. Here's another postcard to the collection. The far more interesting story is how I got rounded up and questioned by the Dubai security police at the adjacent Jumeirah Beach Hotel for taking a photo of the convention centre.